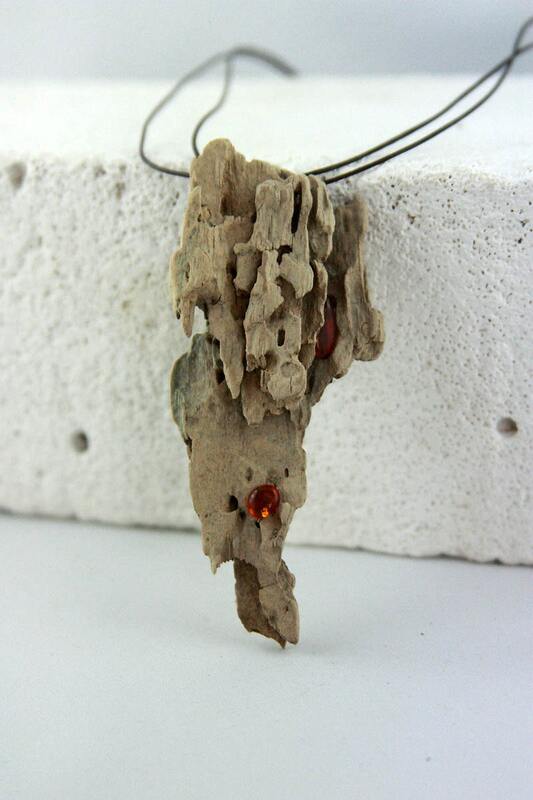 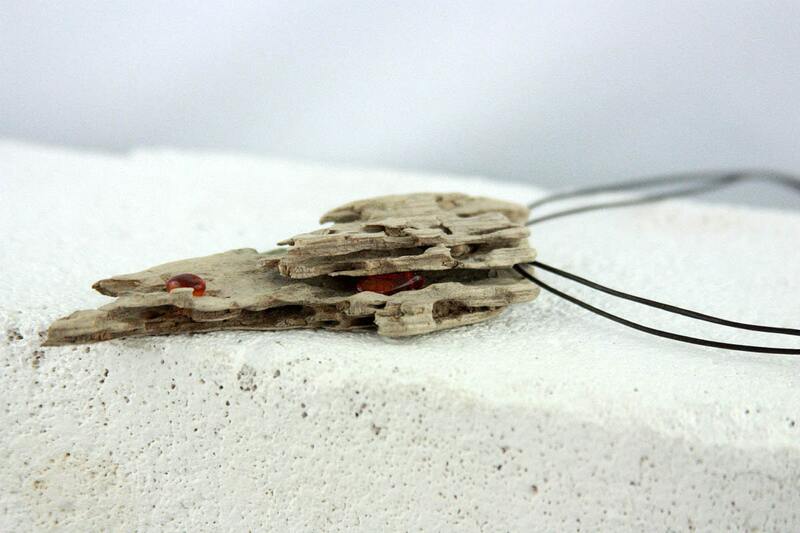 “HIDDENSEE” – This wonderful necklace is subtle and still arouses attention to the eye due to the amber highlighting the elaborate piece of driftwood. 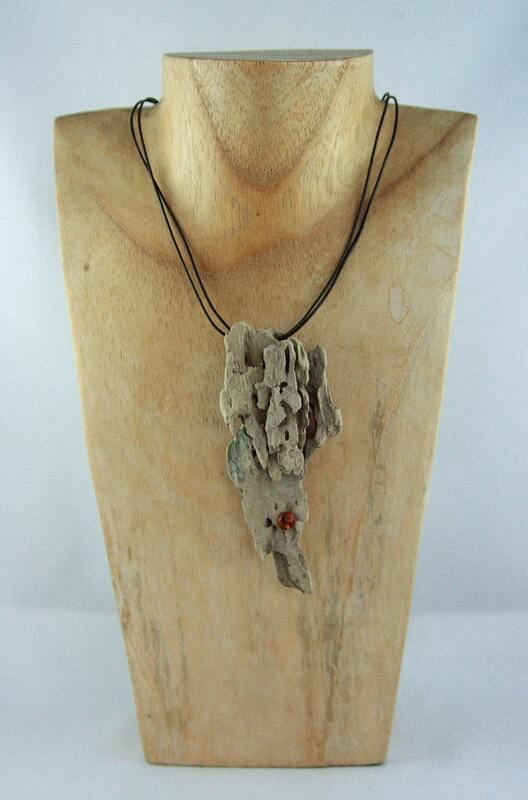 The necklace is made of cordovan leather and sterling silver. 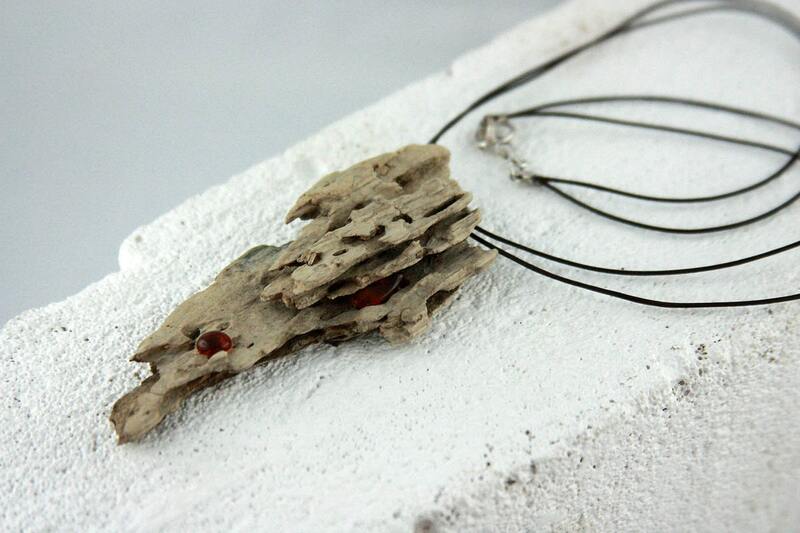 Despite looking heavy this piece is incredibly lightweight.